Much of the time and cost of a last drop deployment revolves around the civil engineering side of the project, such as digging a new trench and burying a new duct within it. 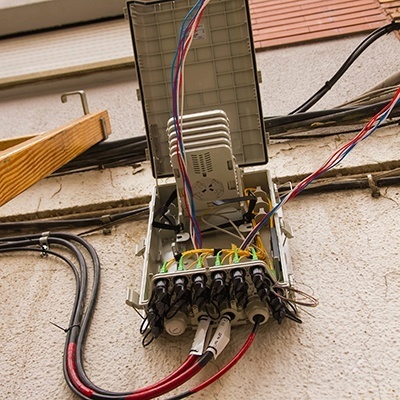 Where possible, crews should look to reuse existing infrastructure - often there are ducts or routes already in place that can be used for FTTH and in building deployments. These could be carrying other telecoms cables, power lines, or gas/water/sewerage. Installing within these routes requires careful planning and use of cables and ducts that are small enough to fit through potentially crowded pathways. If you do need to start digging, make sure you use appropriate construction methods, such as microtrenching, mole plowing or directional drilling. These minimize cost and time by making construction work as fast and concentrated as possible, avoiding major disruption to customers or the local area. In Chicago, installer Geo-Path reduced deployment times by 30% through microtrenching when implementing AT&T’s Distributed Antenna System (DAS) network. This meant crews could be in at 7pm and out by 10pm in many busy urban areas. 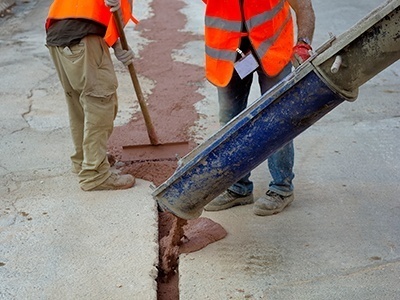 Again, make sure you follow best practice and use the right fiber cable and duct that can fit into tight spaces and withstand the high temperatures of the sealant used to make roadways good. The cable and duct used within last drop implementations is crucial. Ensure that it meets the specific needs of deployments, and is tough, reliable and has a bend radius that means it is capable of coping with the many corners found in last drop installs. It should be lightweight to aid installation and small enough to fit into small gaps and spaces in ducts. Also look to speed up installations with pre-connectorized cables that avoid the need to field fit or splice. The faster the implementation, the sooner subscribers will be up and running, and the sooner you can bill them for new services. Therefore, look at ways you can standardize on particular equipment and methodologies, while ensuring crews are all trained in best practice. This will ensure consistent, high quality deployments, implemented quickly. By using the combination of pushable fiber and a best practice model, Liquid Telecom has boosted productivity of its crews by 500%, resulting in many more deployments per day. Staff costs are one of the biggest elements of the implementation budget. Additionally, there are shortages of many fiber skills, such as splicing, which can delay the rate at which rollouts are completed. Operators, therefore, need to look at deskilling installations where possible, while increasing productivity and ensuring reliability. Using pre-connectorized fiber is central to this - it doesn’t require splicing and is proven to reduce the skill levels needed within implementations. Some municipal deployments in the US have been completed by electricians, for example, supported by city construction teams. The pressure is on for operators to deploy FTTH quickly and cost-effectively, while still ensuring a high quality, reliable installation that causes minimal disruption to customers and the local area. Adopting the six principles above helps achieve this, maximizing return on investment and dramatically reducing deployment times.